Sixteen years ago the Kingdom of Winter was conquered and its citizens enslaved, leaving them without magic or a monarch. Now the Winterians' only hope for freedom is the eight survivors who managed to escape, and who have been waiting for the opportunity to steal back Winter's magic and rebuild the kingdom ever since. Orphaned as an infant during Winter's defeat, Meira has lived her whole life as a refugee, raised by the Winterians' general, Sir. Training to be a warrior--and desperately in love with her best friend and future king, Mather--she would do anything to help Winter rise to power again. So when scouts discover the location of the ancient locket that can restore their magic, Meira decides to go after it herself. Finally, she's scaling towers and fighting enemy soldiers just as she's always dreamed she would. But the mission doesn't go as planned, and Meira soon finds herself thrust into a world of evil magic and dangerous politics--and ultimately comes to realize that her destiny is not, never has been, her own. 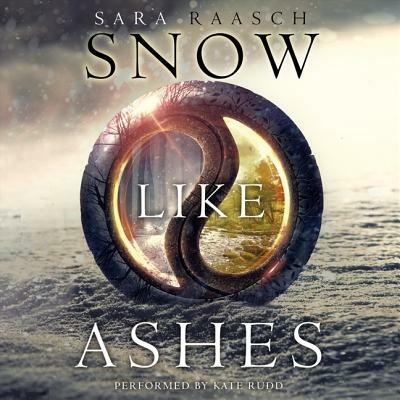 Sara Raasch's debut fantasy is a lightning-fast tale of loyalty, love, and finding one's destiny.